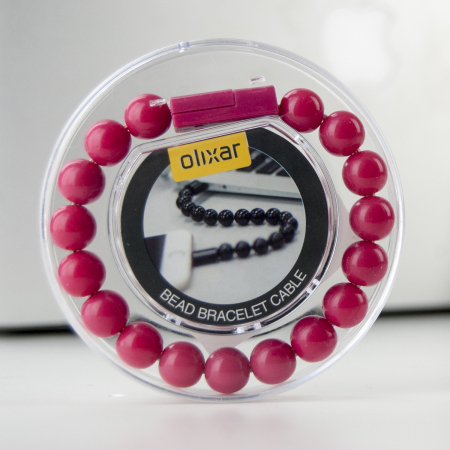 The Olixar Bead Bracelet in hot pink isn't just a bracelet, but hidden within is a Lighting data cable. Suitable for charging and syncing your Lightning device. The Olixar Bead Bracelet appears to be just a bracelet, however on closer inspection it opens up to form a Lightning to USB data cable too. Designed to connect Lightning devices including any recent iPhone, iPad, iPad Mini and iPod Touch to a USB charger or USB Port. 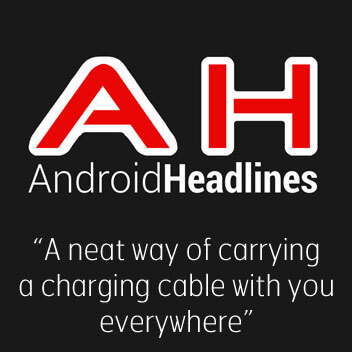 This high quality cable allows you to connect your Lightning device to your laptop or desktop PC in order to charge your phone and exchange / sync data simultaneously. 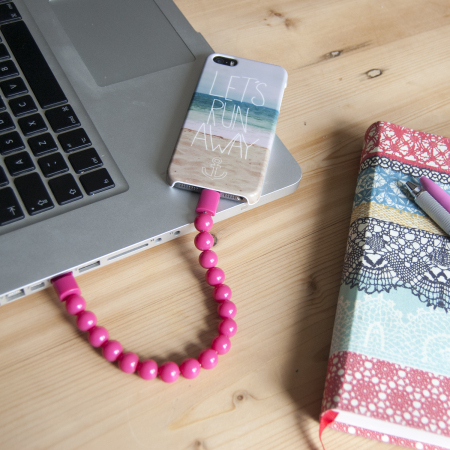 The Olixar Bead Bracelet Lightning Cable is ideal for travelling with as you'll have it with you at all times.